Here we have the Rococo Bed. Occasionally referred to as ‘late Baroque’ Rococo is an 18th Century style of design which developed as artists began to place less focus on symmetry and became much more ornate, florid and playful. The word itself is seen as a combination of French words rocaille, meaning stone, and coquilles, meaning shell, very much down to the reliance of these objects as motif and decoration in Rococo design. This great history and story behind Rococo is kept alive with our collection, as you see here with this bed in it's ornate detail hand carved from durable and high quality mahogany. 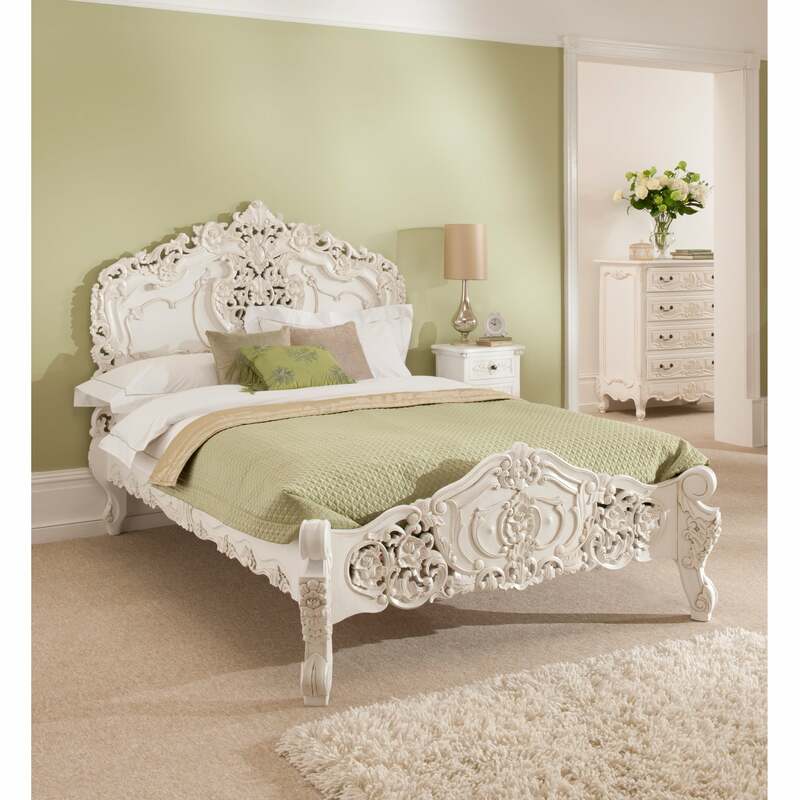 This bed alone is a stunning piece, but as a bedroom set the Rococo collection is a truly stunning snap shot of the past that works exceptional co-ordinated alongside our fantastic shabby chic furniture. All beds fit UK Standard Mattresses, sizes given include frame etc.